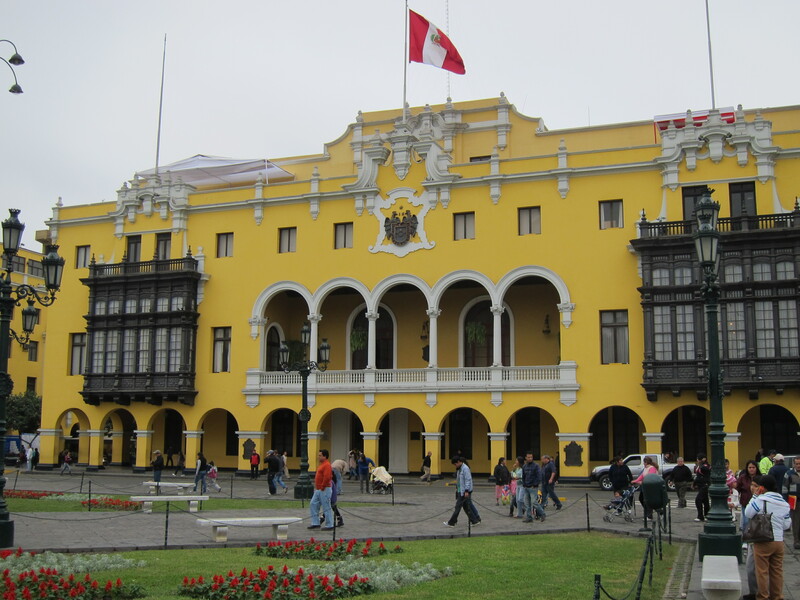 I spent today exploring Lima, the capital of Peru. After grabbing some breakfast at the hotel, I was thinking ‘what the hell am I going to do today, and how the hell am I going to find my way back once I leave?!’. But, the nice man at reception asked me if I’d be interested in doing a city tour, which I thought would be the perfect way to learn about Lima. 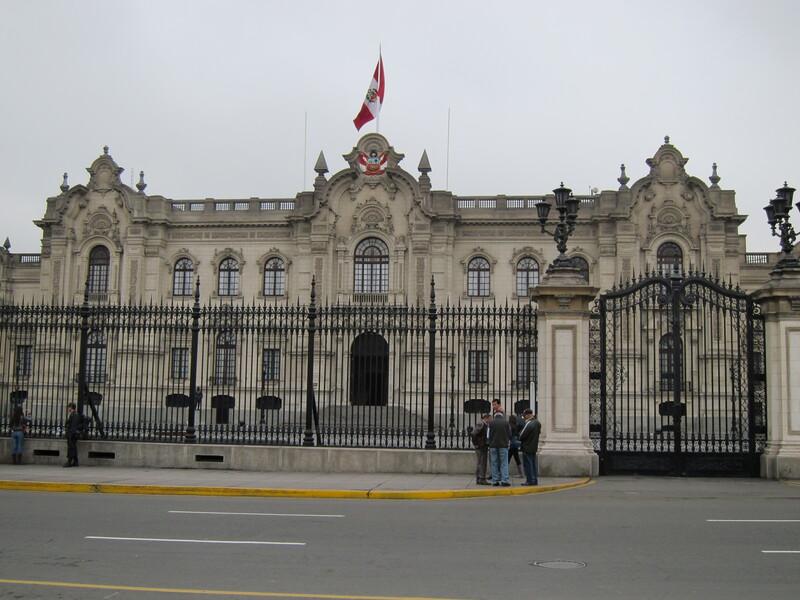 So off I went and jumped on the bus and we headed to downtown Lima or El Centro which is the historical part of Lima. First we visited the Museo de la Nacion where we saw artefacts from many of the pre-Incan civilisations. Very interesting! 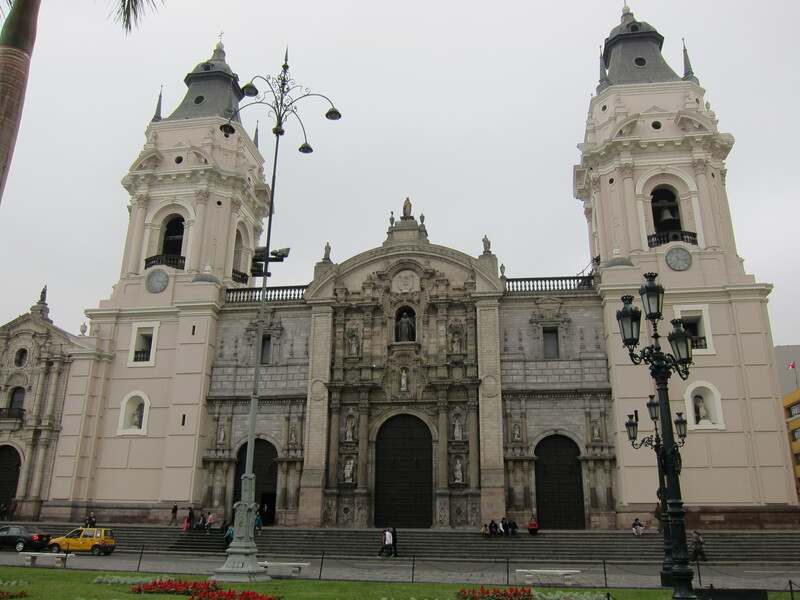 Next we went to the Plaza de Armas which used to be the centre of the Inca city however when Francisco Pizarro foundered Lima in 1535 he built a cathedral on top of the Incan temple and his own house on top of the Inca leaders house. 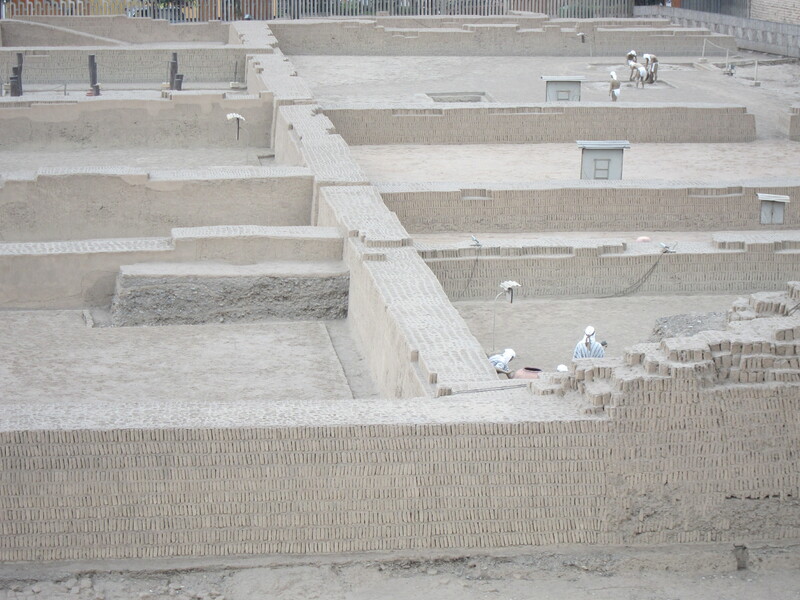 However his house has now been become the Government palace. 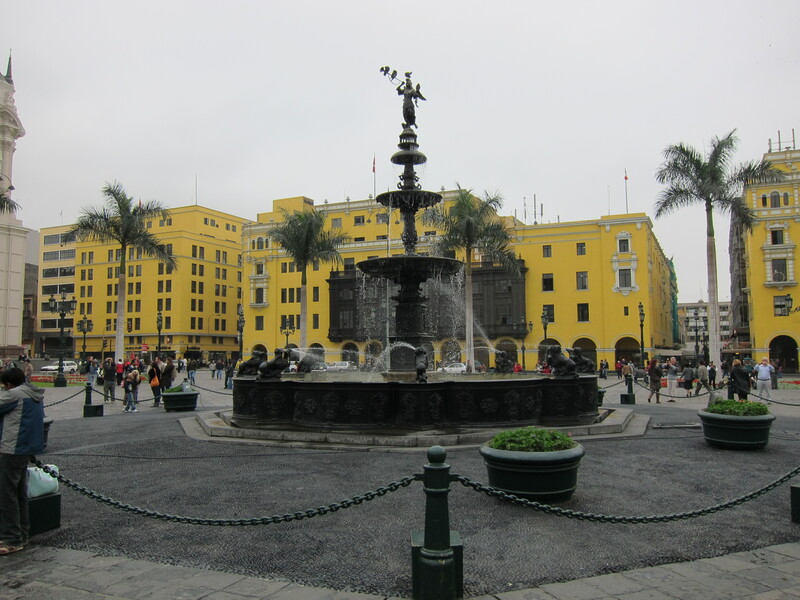 In the centre of the Plaza there still remains an Incan bronze statue which was erected in 1650. Unfortunately we just missed the celebration of Pisco which took place on the 27th July – on this day the fountain does not run with water but with Pisco and everyone is allowed one drink from the fountain. That would be a happy day indeed! Many of the buildings have been damaged by earthquakes however some of the original facade still remains and is very spectacular. We then went onto the St Francis Monastery where Franciscan friars live. 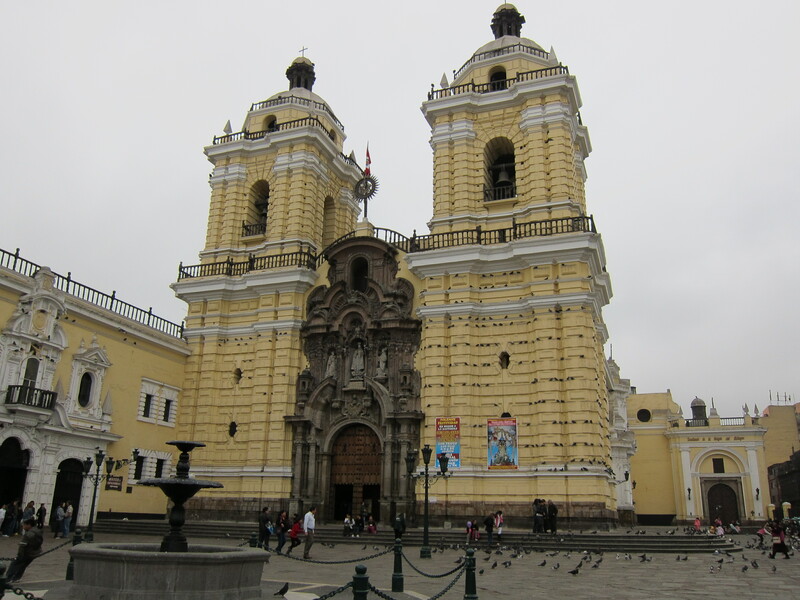 The church is one of the best preserved buildings in Lima and underground there are catacombs filled with the bodies of the 70,000 people who paid to be buried with the friars. It was a bit unnerving to see all the bones piled up in the crypts but extremely interesting. The monastery was full of beautiful paintings depicting the life of St Francis, alters where the friars prayed and a gold plated room where the friars kept their robes and jewels. Afterwards we were able to be dropped off anywhere we chose so a group of us decided to get dropped off at Larcomar, a modern shopping/entertainment complex which is located on a cliff overlooking the sea. The view was spectacular, even though it was quite misty so it wasn’t very clear. 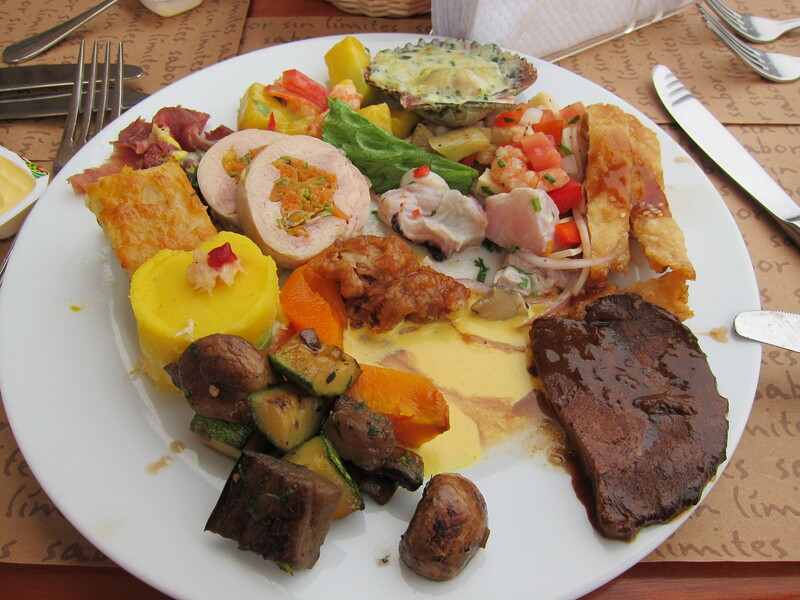 Lima’s food is meant to be among the best on the continent, so we decided to eat at a buffet restaurant called Mangoes so we could sample a bit of everything. The specialty of Lima is Ceviche, which is raw fish marinated in lime juice with onions and other spices. I don’t usually eat fish, but thought I’d better give it a go (when in Rome! ) and it actually wasn’t too bad. I also got a bit of everything else to try, and half the time I didn’t really know what I was eating, but it was delicious! And of course, I left enough room to get dessert which was also divine – cheesecake, lemon tart, chocolate moose and, my favourite, a chocolate fountain with strawberries. 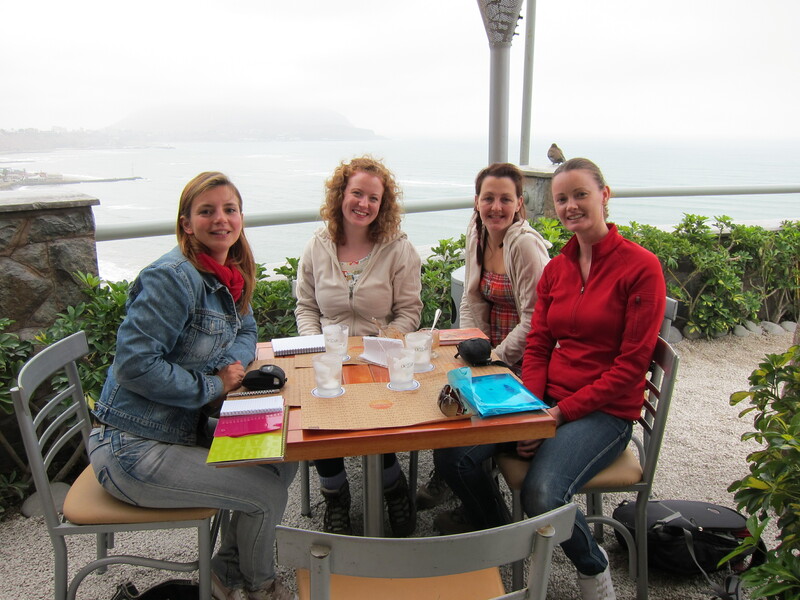 We all had a Pisco Sour which was so strong we all felt a bit tipsy after one! Back at the hotel, the group who were going on the Gap Adventure tour met up and got to know each other and our group leader, Rod, and then headed off to dinner for more delicious food and drinks. 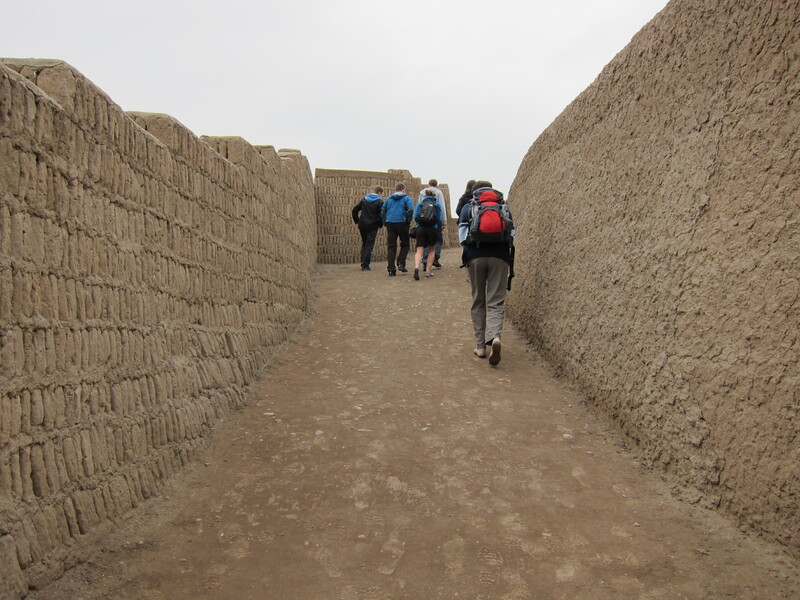 The next day we had free time in the morning so a few of us decided to head to Huaca Pucllana (‘sacred place for games’) the site of a 1,600 year old pyramid. 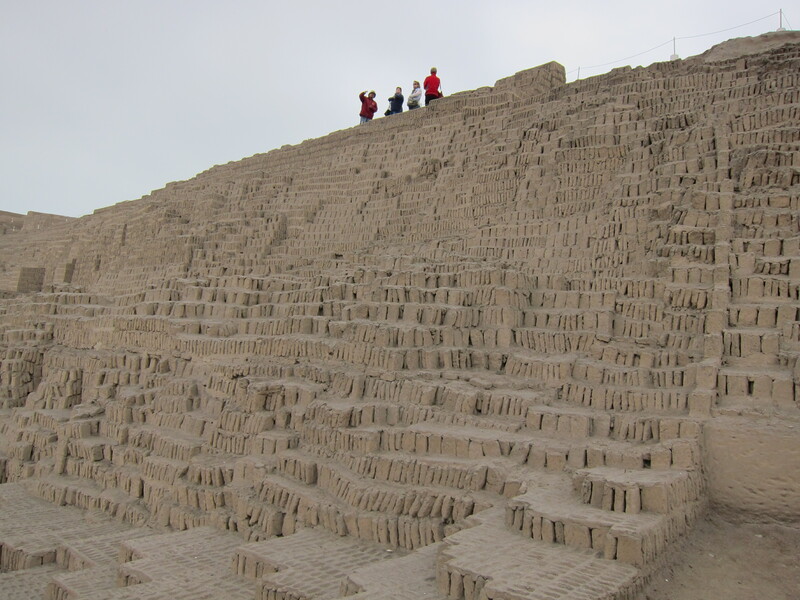 The pyramid is partly in ruins however they began a restoration program 25 years ago. The pyramid is unlike Egyptian pyramids, it is solid and has flat platforms at different levels where they performed rituals including human sacrifices. We were shown how they hand made the bricks and learned that they developed a system of building the pyramid with gaps between the bricks so that they were earthquake resistant. Amazing that 1600 years ago they knew how to do this! So, all up I found Lima a very interesting place, particularly the history of the place, and it was great to meet the tour group, I think we’re all going to have a fantastic time. – It almost never rains in Lima, they get 5 inchs of rain all year, however it is constantly overcast and always feels like it’s about to rain. It doesn’t get very cold, generally the coldest days in winter have temperatures of 12-14 degrees. – Peru’s coastline is desert which makes up 10% of the countries land mass, 30% is highlands and mountain areas and 60% is jungle. I have now arrived in Lima, Peru after a 3 hour flight a 13 hour flight and then another 4 hour flight (Auckland, Santiago and Lima) – and trust me, I have never been so desperate for a shower in my life! The flights were all fine, no dramas at all, but it´s just so long – my whole body is aching. This was the first time I´d flown by myself, without someones hand to hold onto when you take off and land. 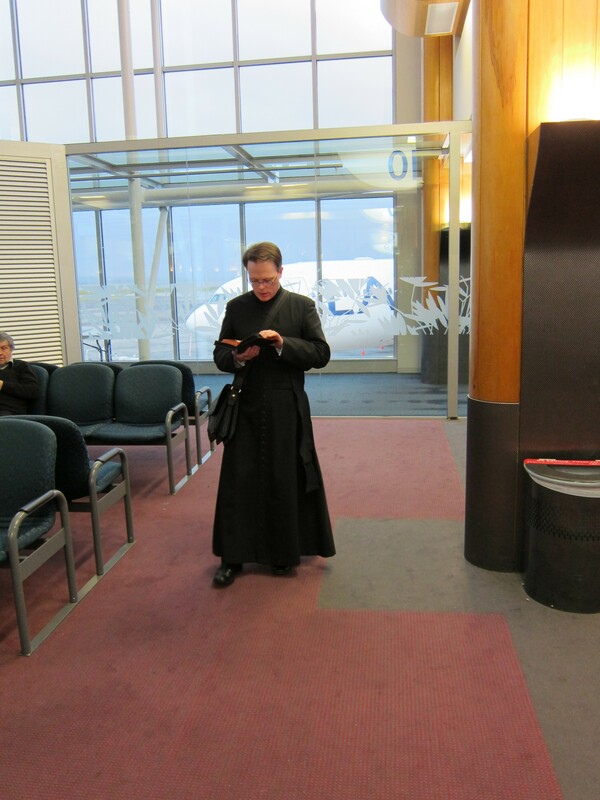 Apparently I wasn´t the only one who was a bit nervous though, this fella walked up and down the terminal in Auckland praying before the flight, then he was on the flight to Lima too, so I had God on my side I suppose. Even though I´ve barely seen anything of the country, apart from what I could see from the window of the plane and the bus to the hotel, I´m already amazed by how different eveything looks. The landscapes are completely different. It´s quite barren and very rocky and the mountains outside of Santiago were just huge – like nothing I´ve seen before. 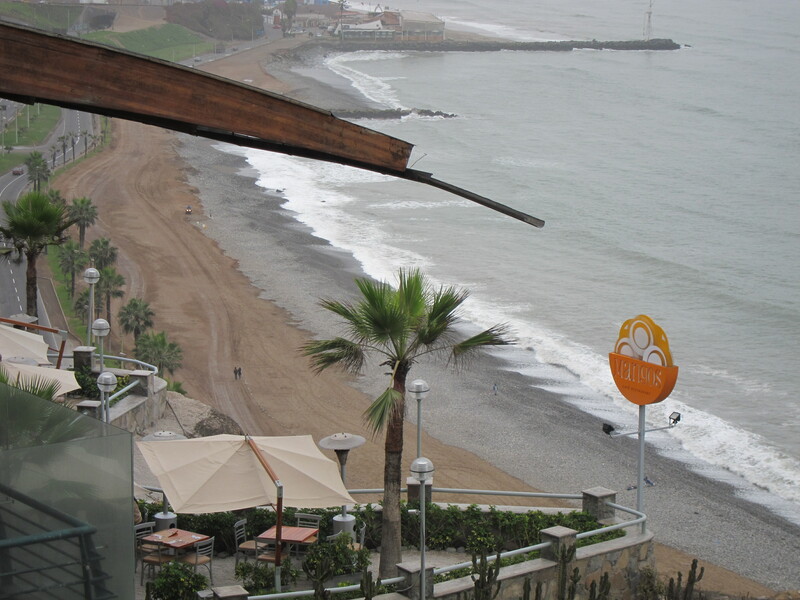 Tonight I´m stayling at the Hotel Britania in Miraflores, a suburb of Lima. Tomorrow I´m going to do a bit of exploring around Lima before meeting up with the tour group tomorrow evening, and then the fun begins!